BANGKOK (Reuters) - Nearly five years after Thailand's 2014 military coup, the populist movement that the army has overthrown twice in a decade is contesting an election on Sunday that its leaders say is rigged against it. Yet, the Pheu Thai party linked to ousted ex-premier Thaksin Shinawatra, is hoping it can beat the system, just as the former telecommunication tycoon's loyalists have won every general election since 2001. This time, Pheu Thai has shifted strategy by dividing its forces to capture new votes and to seek a "democratic front" with other parties to overcome junta-written electoral rules that give a huge advantage to the party seeking to retain junta chief Prayuth Chan-ocha as prime minister. Sunday's election has 81 parties competing, but the race has shaped up as one between Pheu Thai and "democracy front" allies versus the pro-army Palang Pracharat party that nominated Prayuth as prime minister. But that may not matter, because the new constitution written by the junta allows parliament's upper house, the 250-seat Senate, to vote with the lower house to choose the prime minister - and the Senate is entirely appointment by the junta. That means pro-junta parties need to win only 126 lower house seats on Sunday to choose the next government, while Pheu Thai and allies, who can't count on any support in the Senate, need 376 - three-quarters of the total up for grabs. Despite the disadvantages, Sudarat Keyuraphan, Pheu Thai's main prime ministerial candidate, said a democratic front could keep the military from controlling the next government. 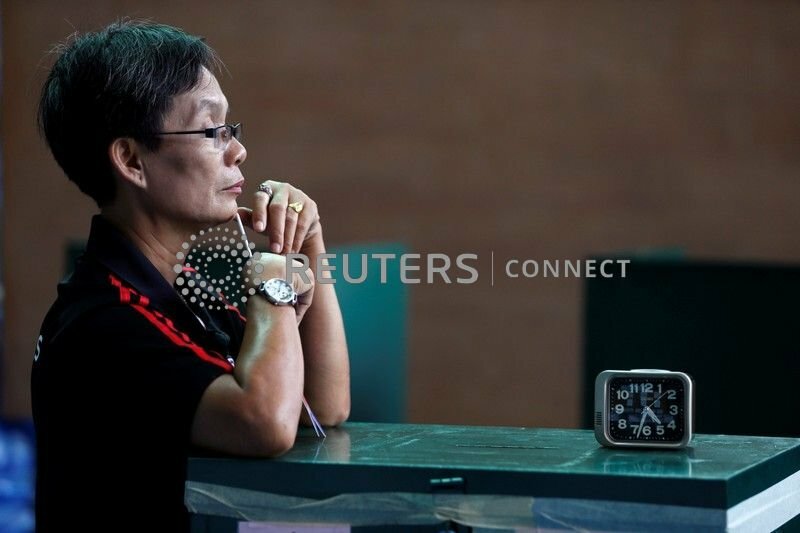 "I still believe in the heart of the people and we have seen election upsets in many places around the world," Sudarat told Reuters in an interview. "The establishment have had a strong determination to get rid of Thaksin once and for all," Titipol told Reuters. While the rewritten electoral rules give junta leader Prayuth's party an advantage in choosing the next government, they are by no means a guarantee. In recent weeks, talk of a "democracy front" has gained ground, with speculation different parties in the House of Representatives might muster the 376 votes needed to choose the prime minister. Other parties like the youth-oriented Future Forward Party, while not seen as "pro-Thaksin", could join forces to keep the military out of politics. The leader of another main party, the Democrats, has also said he won't support keeping junta leader Prayuth as prime minister, though it is unclear if the staunchly anti-Thaksin Democrats would join any front with Thaksin loyalists. Even if they unite, it's unclear whether anti-junta parties can muster enough votes, but Pheu Thai's Sudarat said Prayuth's declaration as a prime ministerial candidate has had a galvanizing effect. "For 10 years the military has been acting as a referee," she said. "But now they have reveal themselves and have become a player so this could lead to a new end game ... now it is up to the people." This election is not the end but the new beginning . Thai raksa was not a mistake or s fluke , rumours of coup almost always turn out to be true. One learns from history, it’s not the matter of if, but the matter of when. next few months will be very interesting, army is most certainly disliked by majority despite army propaganda of how good they are. A pyrrhic victory at best as a coup will be imminent if the military wakes up on the wrong side of the bed. I fear that the military want to remain in charge one way or another, the election may not give the result they want. They came to power in 2014 stating that they were averting a possible civil war with the then Govt being barracked by Suthep and his followers and the possibility of Govt supporters turning up to support the the legal govt. That premise may have had some substance but it was never allowed to materialize, this time if there is military interference then things could be different. Its time for people to think of the country and not of themselves and who is in power ( yes I know its very difficult not to put number 1 first ). The result is one thing but that might not be the end of things. One thing is for sure which ever way the election goes you can bet that whoever is pulling the strings will be safe and sound far away from Thailand lest the <deleted> hits the fan. There must be a lot of hunger out there. Pigs lining up at the trough! An estimable goal but virtually impossible - if things aren't going the way the army would like, they will just stage another coup. Sorry it is or it isn't. There is no semi. Sugar coating garbage is a waste of breath. If the junta loses after all this rigging, the army will be marginalized. With the rigging, general cha cha will not be looked on favorably by the fairly elected in other countries. This will be either a huge win for Thailand in beating the odds of a rigged election, or the continued doldrums of the last five years. and there goes the Baht. Stay calm, the Junta/military has allready bought what needed to win this election !!!! If the powers that be don't like the result they can just declare the vote null. Just like Brexit. Even if the populists get in, never a worry just have another coup. After how many military coups is it safe to say that democracy doesn't exist in a nation? Certainly once a decade.